Psoriasis is a chronic, sometimes genetic, autoimmune disorder characterized by the buildup of thick, scaly, patches of dead cells on the skin’s surface. In addition to skin, these red, itchy rashes can affect nails and joints(called psoriatic arthritis). While psoriasis cannot be cured, the symptoms can be significantly reduced. There are plenty of over-the-counter creams and prescription medications, all of which claim to be the most effective treatment for psoriasis, but they can be expensive and they can come with serious unwanted side effects. Luckily, there is a safe, natural, affordable way to treat the symptoms of psoriasis at home. According to researchers at the International Congress of Dermatology in Prague, aloe vera is more effective than topical steroids at reducing the symptoms of plaque psoriasis. We’re about to tell you how to use it, but first, take a look at why it works. Aloe vera moisturizes skin while forming a protective layer that discourages bacterial growth. It strengthens the immune system and increases the production of white blood cells. It has has mild anaesthetic, antifungal, antibacterial, skin soothing and anti – inflammatory properties which reduces redness, swelling, itching, and other inflammatory symptoms of psoriasis. When consumed, aloe vera detoxifies the body from within and aids in proper digestion to prevent gut issues (by eliminating toxins through colon) that in turn helps to get control over psoriasis. Aloe vera penetrates deep into skin, reducing the thickness of psoriasis rashes and flakes. It has 99% of water which hydrates and moisturizes the skin to prevent dryness and irritation. Aloe vera contains calcium, copper, magnesium, potassium, iron, chromium, zinc anti-oxidants, salicylic acid, enzymes, vitamins A, B, B12, C & E, polysaccharides, and amino acids, all of which keep skin healthy. Fresh juice and gel always work best. If you don’t have access to a plant, buy organic gel or juice from a health and beauty store or order it online. This process is used to treat psoriasis on all over the skin along with nails and joints. Slice open an aloe vera leaf and squeeze to extract gel. Apply to skin, massaging gently in circles for 2 minutes. Leave on overnight if you apply at night or wash off with cool water after 15 minutes. Tea tree oil is anti–bacterial, antiseptic, and anti–inflammatory. It relieves itching, burning, and redness. Mix 100 ml of pure aloe vera gel, 6 drops of tea tree oil, 10 ml each of avocado oil, lavender oil, jojoba oil, vitamin E oil, and bergamot, and 4 ml each of patchouli and 3 drops of German chamomile. Pour mixture into an airtight container and let stand overnight. Apply mixture to skin preferably after shower. Massage gently in circles for 2 minutes. Leave on for few minutes and rinse with water. Mix 1 teaspoon each of alovera, coconut oil and shea butter. Stir well and then apply on skin, massaging gently in circles for 2 minutes. Leave on overnight or rinse with lukewarm water after 20 minutes. Repeat daily to get relief from the itching and dryness. the psoriasis affected skin and scalp areas. Rinse it off after getting few minutes. Add aloe vera gel to cocoa butter, Shea butter and oils with vitamin B5(like jojoba, evening primrose, lavender, calendula, or vitamin E oil, etc.) to make fine moisturizing cream and use this cream to get rid of psoriasis. Psoriasis cab be caused due to deficiency of vitamin B12, drinking aloe vera juice helps you to get enough of vitamin B12. Drink at least ¼ cup fresh-squeezed aloe vera juice per day. You can mix it into smoothies, or fruit and vegetable juices. Drink it twice a day, once before breakfast and once before dinner. Avoid drinking aloe vera juice of you’re pregnant or lactating. Coconut oil is anti–bacterial and anti-fungal. It softens, nourishes, and moisturizes skin. Melt ½ cup organic extra virgin coconut oil. Mix melted coconut oil with 1/3 cup fresh aloe vera gel. Stir it well by using an electric or hand whisker for 5 – 7 minutes. Add 3 drops each of lavender, rose, and peppermint oil. Store mixture in airtight containerand keeps it aside for few hours. Apply mixture on the affected skin leave on overnight. If you’re using this on your scalp, follow it with aloe vera shampoo and conditioner. Note: You can apply this lotion after shower or bath to lock the moisture. Melt 2 teaspoons of organic coconut oil. In a blender, mix melted coconut oil, 4 teaspoons of aloe vera, and ½ teaspoon of vitamin E oil. add few drops of peppermint oil (or any other essential oil of your choice) in this mix. Pour the mixture into airtight container and store in refrigerator. Apply on clean skin before going to bed and leave on overnight. In the morning, rinse or shower. Repeat to reduce the symptoms of psoriasis. Mix ½ teaspoon each of witch hazel, vitamin E oil, clove oil, menthol, tea tree oil, pine tar, and cedar leaf oil. Stir in 1 teaspoon of aloe vera gel. Apply on the affected area and massage gently in circles for 2 minutes. Leave on for few hours or overnight. Rinse with lukewarm water and towel-dry. Mix 1 tablespoon of aloe vera gel with 1 tablespoon of full fat milk. Stir well and use fingertips to apply on the affected area. Mix ¼ cup of aloe vera gel with 2 teaspoons of cayenne pepper. Apply on the skin after shower or before going to bed. Leave for few hours or overnight. Note: If cayenne pepper causes burning sensations, wash it off early and apply moisturizer. Mix ½ glass each of aloe vera juice and water. Apply to scalp and massage gently in circles for 5 minutes. Massaging help to get relief from itching and inflammation on the scalp. Leave on 20 minutes, then rinse with lukewarm water and towel-dry hair. For added benefit, include 2 drops lavender, peppermint or tea tree oil. Also try adding aloe vera juice or gel to your regular shampoo and conditioner. Add 1 – 2 drops of lavender, peppermint or tea tree oil in 1 – 2 tablespoons of aloe vera gel. Stir it well and apply this on the scalppatches. Leave on for 30 – 60 minutes. Rinse with aloe vera shampoo followed by an aloe vera conditioner and towel dry. Note: You can add aloe vera gel / juice to your shampoo before shampooing your hair. Add 3 – 5 drops of lavender essential oils in 2 ounces of aloe vera gel. Mix it well and apply on the scalp. Let it sit for about 15 – 30 minutes and rinse your scalp with lukewarm water. Repeat daily severe psoriasis on scalp and twice a week for mild psoriasis. This process also helps to treat lesions on all over your skin, nails and joints. Mix equal quantities aloe vera gel and garlic oil. Apply on the scalp where you have psoriasis patches and leave on 15 minutes. Rinse scalp and hair with shampoo followed with conditioner and water. These natural ingredients help to moisture the dry, flaky and scaling scalps. Add some fresh aloe vera gel in enough of jojoba oil. Apply on the scalp, massaging gently by concentrating more on the psoriasis affected scalp areas. Leave on overnight and rinse in the morning with shampoo. Follow the process regularly to get relief from itching and burning. For best results, follow the advice below when using aloe vera to reduce the symptoms of psoriasis. Use aloe vera based creams, lotions, shampoos, or conditioners to treat psoriasis. use brands that do not include chemical preservatives. Trusted brands include Green Lead Naturals, Artnaturals, Fruit of Earth, Earth’s Daughter, Lily of the Desert, Aloe Farms, Desert Essence, InstaNatural, Jason, The Body Shop, and Crabtree and Evelyn. Aloe vera capsules are available, but fresh juice or gel are much more effective. Take advice from your doctor before using. If you are pregnant or nursing, or if you have kidney disorders, consult a doctor before using aloe vera regularly. For children under 8 years of age, consult a doctor before using aloe vera. Research indicates that applying creams that consist of at least 0.5% aloe for 4 weeks significantly reduces psoriasis outbreaks. Always apply aloe vera after washing skin, and do not apply it to open wounds. Before starting regular treatments, do a patch test to find out of you are allergic to aloe vera. Avoid using latex of aloe vera (either for consumption or topical application on skin) which causes diarrhea, cramps, lowers the blood sugar levels. Monitor the blood sugar levels regularly, if you have diabetes or using blood sugar lowering medicines. If aloe vera does not help reduce your symptoms, consult your doctor. Other than using these remedies keep your skin well moisturized and follow and apply sunscreen before stepping out. Eat nutritional food and avoid stress, and quit smoking and alcohol. 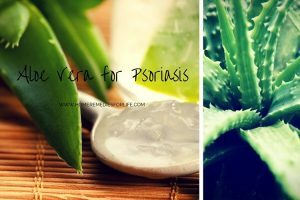 Have you tried using aloe vera to reduce the symptoms of psoriasis? Do you know of any methods we didn’t mention? Share your experience with us! Could you please leave some references to the studies you are quoting? Here you can see some evidence and studies that aloe vera can be used to treat psoriasis. WOW! Nice post. Aloe Vera is a plant almost useful in any skin problem. Beneficial in curing Psoriasis, sounds amazing. Thank you for sharing this 🙂 . Hi I am suffering from Psorasis Arthrites last 17 years please suggset the how can I cure . Use the methods mentioned in the article. Moisturize the affected area regularly with coconut oil. Instead of using chemical based soaps or shampoos, use the ones made with natural ingredients. As psoriasis is caused to immunity disorder, consume a nutritional diet and exercise regularly to boost it. I was recommended to use aloe vera for to treat Psorasis. If I’m using it 2-3 times a day, how long can I use it for? Use it daily until the psoriasis symptoms clear to a maximum extent. Even after psoriasis reduces, you have to use it at least once in a day to avoid flare ups in the future. Thank you for this research, thank you so much. @ Maria – How you have used it?. Have you bought the gel or used fresh from plant? – was it juice you drank or applied on your elbows? – would be very helpful if you tell how to used it. Thanks. Psoriasis cannot be cured completely as it is an auto-immune diseases. However, it can be controlled to a maximum extent. Aloe vera is helpful in soothing the flare ups, smoothen the skin. As it contains 99% of water, it is very helpful in hydrating and moisturizing the skin. It prevents dryness, flaking and redness. Apart from that, let her include foods rich in antioxidants, omega fatty acids, vitamin D and C in her daily diet. Yes, you can consume it on an empty stomach. Sometimes, deficiency of vitamin B12 can also flare up and worsen psoriasis. Aloe vera supplies enough vitamin B12 and boost your immune system. Thank you for this information. Can any of these methods be used for vitiligo? Yes, aloe vera can be used to reduce vitiligo. Apply freshly extracted gel on the affected areas and rinse off once it dries off. Repeat the process regularly for effective results. Please can you say me which company Aloe Vera gel is good. As we see lot of brands avaliable on market now a days. Please update as i am suffereing from psoriasis lst 8 yrs. Whichever brand you choose, check the label for pure and 100% aloe vera gel without any added preservatives and additives. Instead of that, you can get an aloe vera plant and extract gel freshly from its leaves. Hi I have scalp psoriasis I’m gonna try using my aloe plant. Can I also use emu oil? Psoriasis is auto-immune disease. So, you have to maintain your immune system healthy. This helps to prevent the psoriasis flare-ups. In order to boost your immune system, eat nutritional food, exercise regularly, reduce stress levels, overcome any vitamin or nutrient deficiencies and drink plenty of water. Psoriasis is an auto-immune disease. It cannot be treated completely however you can keep the flare ups under control to a maximum extent using aloe vera. Try to follow 9 or 12 method mentioned in the article regularly. Apart from that consume plenty of water and immune boosting foods. I am also suffering from Scalp Psoriasis & Psoriasis for the past 2 years. But it went off for 6 months nd now again it started flaring up. Gluten Free Food Almost the Best in my case suited me. Avoided Citrus Fruits. Dairy Products . Red Meat Particularly. Have Vegetables Juices loaded with Bottle Gourd, Carrot, Beets,Like. Keep body hydrated with drinking Fruit Juices& Water, specially Coconut Water. Todays life is loaded with stress, which is unavoidable but we have to keep it at bay. Every person has his/her own way to keep stress away. Find it out. For me its my family friends I avoided confrontation stopped my Ego. Take bath twice don’t use chemical soaps cleanser s . It will further deteriote the condition of rupture. Avoid nail nibbling. Apply Aloe wera Gel / Coconut Oil like. Drink Aloe vera natural juice. Its beneficial. Take sun bath. Being spiritual everone has there own way to discover it. Try for your own . in my case its breathing exercise followed with Chanting Mantras . It gives a relaxation. If there is balance in serotonin and melatonin levels in brain we have good sleep and we remain active. which guides our pineal gland to make us aware how to face the odds of life. Last but not least Attitude Towards Life. Don’t Care for world, Reason 1st care of Urself The World come after you. I put myself into work even 16 hours some day in a month. Physical exersion can lead but avoid mental stress, manage it. “I treated myself in Kerala at Post Mavelikara KN Shastri Ayurvedic Vaidyashala by Dr Somanandji. Great Person. Why again my flares raised bcoz of work stress which in my case was unavoidable. Again now I have to go there. “Keep your Gut Free From Bad Foods , Don’t Smoke , Avoid Alcohol ” Eat Good , Sleep Tight, Sport well , Pray well & Enjoy Life”. Contact me if feel Depressed. Psoriasis cannot be cured completely. By using aloe vera methods mentioned above, you can reduce the flare ups and appearance to a maximum extent. You can choose any one among them and try it regularly until you notice the difference. Yes, aloe vera is very helpful in reduce the psoriasis flare ups. Choose any method from the article and try to follow it regularly to achieve the results. Apart from that avoid using cosmetics, shampoos or lotions that contain harmful chemicals. Reduce stress, eat nutritional food, and avoid junk, processed, packaged and deep fried food. I got psoriasis at 60 years old. It is severe plaque psoriasis. I was working as a phlebotomist in a hospital and was exposed to Norwegian Scabies, Tb and Mersa all within a 2 month span. Needless to say, I have since quit my job due to painful lesions on hands, feet, legs arms, hell it’s ALL over my body AND the anxiety I have due to my job. I am now trying to get disability from Social Security. Very scared about being denied, also adding to my anxiety. My dermatologist has filled out forms for me, but has not stated IT IS INCURABLE. I am stuck with this for the rest of my life.. Guess my question is, has anyone else gotten disability benefits from having severe psoriasis? Have been on Humira for 2 months, not seeing much improvement, wondering how to afford it with no insurance now. or any med’s for that matter. Hi, I am 20 years old and have suffered from psoriasis for 5+ years. I have tried everything but still have not seen any improvements, its getting worse… what treatment would you recommend me from your list and what vitamin tablets would you suggest for me to start eating…?. Also, I’m looking to dye my hair soon. Will that have an effect on my psoriasis? 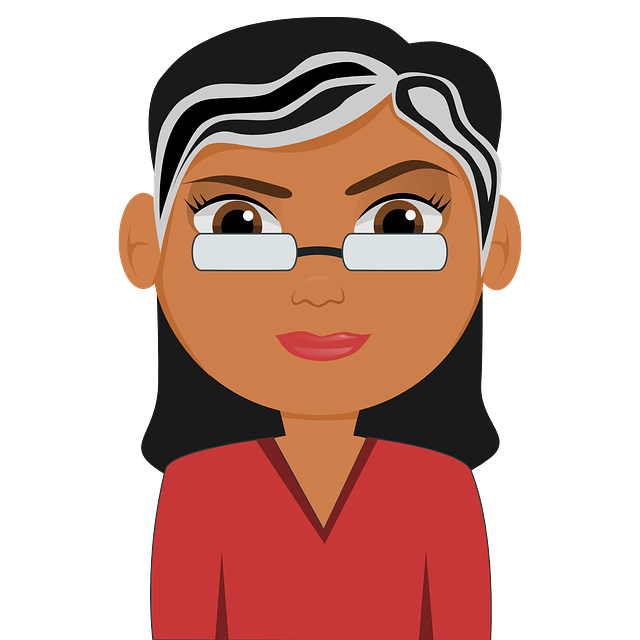 Is Homoeopathy helpful to get rid from psoriasis? If I’m using a 100ml container for Aloe Vera how much tea tree Essential oil would I use pls ? I think I have proriasis on my ankle, Can i use this original extract from the aloe vera leave to apply on it? My daughter 3yrs old have skin problem on the back of her heels. I’m not sure what skin problem is it. She will always scratch on it before sleeping. Can i use it to apply on her effected area too? I think my daughter has eczema skin (very dry skin), that cause itchy. Where in Winnipeg can I purchase Aloe Vera for psoriasis? Costco?